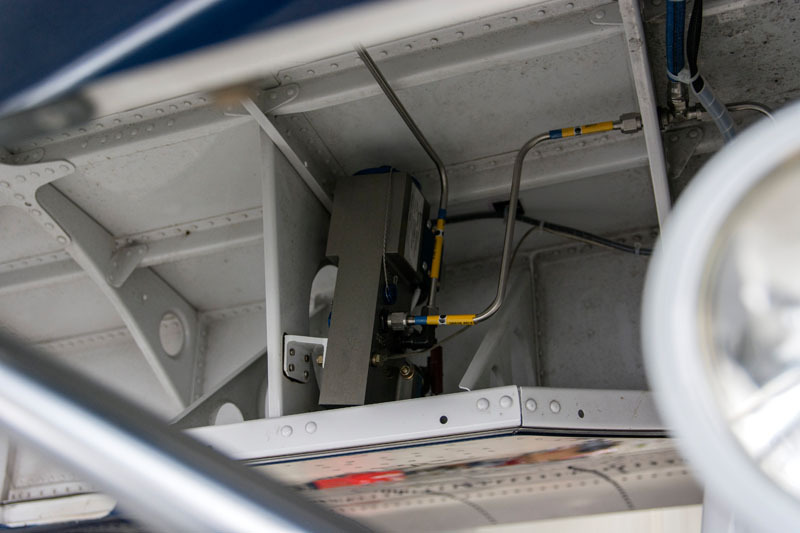 Skytech, Inc. has recently completed their first installation of the new Advent Aircraft System, Inc. Anti-skid Braking System (eABS) on a Pilatus PC-12 NG. The installation went smoothly, was finished according to schedule and delivers as advertised. System Performance – Better directional control and reduced stopping distance on runways contaminated with debris, water, ice, and snow. Tire Protection – Eliminates flat-spotted and blown tires during aggressive stopping on dry or contaminated runways. Tactile Feedback – During anti-skid operation, the brake pedal pushes back, annunciating its operation. This feature will aid the pilot in knowing the braking limits of the airplane. Low-Speed Cut-out – The system will not operate, in anti-skid mode, when aircraft speed is below 10 knots. Convenience – The non-invasive, easy-to-install system requires minimal downtime, either as a standalone installation or during scheduled maintenance. Typically as few as 5 days, depending on the aircraft type. Customer Service and Warranty – An extended warranty covers the installation and parts. 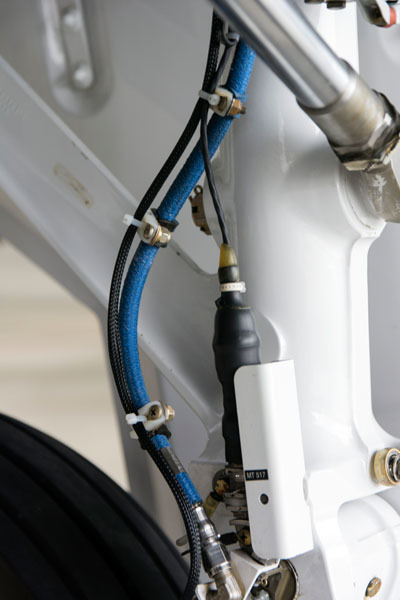 The Advent eABS system offers anti-skid braking without the need for power-boosted brakes, bulky and heavy hydraulic accumulators, and does not require modification to the existing landing gear or master cylinders. Installation can normally be accomplished during scheduled maintenance inspections or refurbishment. For more information on the Advent eABS system, visit www.aircraftsystems.aero. Skytech, Inc. is a Pilatus PC-12 NG Authorized Dealer and Service Center with facilities near Baltimore at the Carroll County Regional Airport (DMW) and in the Charlotte Metro Area at the Rock Hill/York County Airport (UZA). Skytech is an Authorized Dealer for the Advent eABS system on both Legacy Pilatus PC-12’s and PC-12 NGs. Contact Skytech for more information on any of our services. Categories: Blog and News & Events | Tags: advent aircraft system, anti-skid braking system, braking system, eabs, pc-12, Pilatus, Pilatus PC12, PRESS RELEASE, Skytech, and Skytech inc. This entry was posted on Tuesday, June 20th, 2017 at 12:54 pm. Both comments and pings are currently closed.